The Strainbank was established in 2009 and we're the only collective offering verified cannabis genetics originating from Int'l Seedbanks. All the varieties of marijuana offered on our Strain Menu were added after flowering seeds, in which the best genetics were identified and desired phenotypes preserved. We recognize the long withstanding reputation international breeders have come to earn and for this reason The Strainbank only carries easily identifiable, stable genetics. The success of our collective results from a simple method of acquiring the most potent cannabis strains for marijuana patients and cannabis breeders alike. The Strainbank has been the best source of marijuana plants and cannabis seeds in California consistently the last several years. We have the most professional & simple platform online to buy cannabis genetics online. 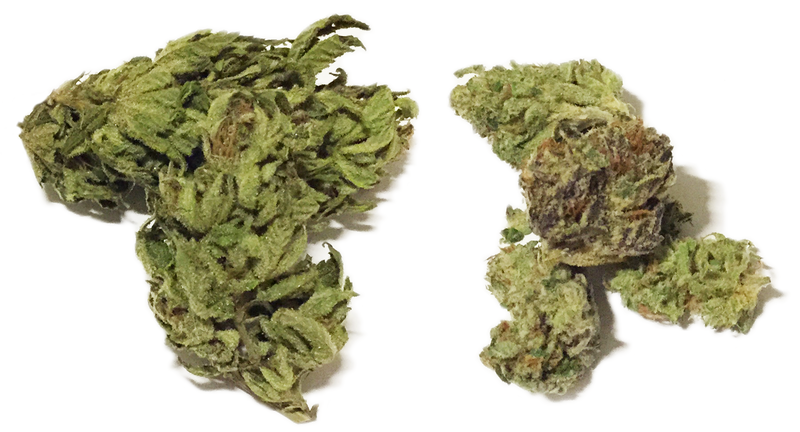 Don't be fooled by gimmick websites with random lists of marijuana strains and no information. Unable to drive to San Diego? Buy cannabis seeds and have them shipped overnight. Seeds bred and harvested locally have the highest germination rate. Expedited domestic travel eliminates any shipping problems and remember a Representative is always available to speak to if you have questions. Our collective does not advertise and we pass the savings to patient members. We rely on marijuana patients telling friends about the success of their garden and patients returning, wanting new genetics or coming back for old favorites. Our long withstanding web presence has allowed The Strainbank to quickly become a premier, globally recognized source of superior cannabis genetics. You'll appreciate the difference. Requests are processed in minutes! Indicas. Night time use with high CBD content. Helps relieve insomnia, nausea & body pain. Sativas. Day time use with high THC content. Helps treat anxiety, headaches & depression. Hybrids. Very popular with patients for general medicinal use. High yielding indoor strains. Purples. These Indica dominant strains have high CBD content - for advanced growers. Teens are mature marijuana plants that are approximately 8" to 18" tall and are grown in various growing mediums. The donation total is based off height and strain availability. Start Growing The Right Way. Pre-teens and teens are well adjusted to mature growing environments and are fed Amal Gold wet & dry formula. For best results, continue to use organic marijuana nutrients. The Strainbank cultivates marijuana seeds in-house. We do not redistribute or broker genetics. Our success these past years comes from flower-verifying each strain to ensure a great growing experience. Feminized. A bit more expensive, but avoid growing any male plants with feminized seeds. Regular. Regular seeds are great for breeders looking to experiment with new genetics. Auto-Flower. Auto-flower seeds are popular and fun to grow due to the short flowering time.